Available with front or all-wheel-drive, the Toyota Venza was introduced to the Canadian market in 2008 for the 2009 model year and was manufactured in Kentucky. Definitely not a conventional sedan, but not quite a fully-fledged SUV either, it was – and is – built on the Camry platform, and in 2010, there were two engine choices: a 2.7 litre four cylinder and a 3.5 litre V6. The former powerplant was the largest in-line four-banger on the market and also found its way into the Highlander. As far as the V6 was concerned, this engine was also used elsewhere in the company’s model line-up, and in this configuration, developed 268 horsepower. Of the two, it offered the best in terms of all-round performance. Like the four cylinder model, the V6 was mated to a six-speed automatic transmission only, and featured things like a transmission cooler, adaptive shifting, and a Hill-Start Assist Control. This last item prevented the vehicle from rolling backwards when stopped on a hill and was standard on all models. The adaptive shifting feature, meanwhile, holds the transmission in a lower gear when climbing a hill under load as well as automatically dropping it down to a lower gear when descending. While it could handle modest off-road forays, the Venza was not designed for down and dirty bush-whacking. Equipment level for the Venza was reasonably high. A climate control system, heated outside mirrors, tilt/telescoping steering, power adjustable driver seat, cruise control, and power door locks all came standard. Lots of airbags too: front, side, side curtain, and knee….front and back. Heated front seats were an option. The “Premium” package included a back-up camera, a decent-sized power sunroof, and power rear door. With its oversized 20-inch wheels and tires and SUV-ish body, the Venza sat five, and the back seats folded down 60/40 fashion, either via a couple of levers located on the sides of the rear cargo compartment or by pulling up on a lever on the sides of the seats themselves. Behind the wheel, the shift lever was set halfway up the centre console and was easy to get at and quite usable. A multi-information display was located atop the dash, displaying things like outside temperature and whether or not one of the doors is ajar. You could also adjust the size of the display itself. Two safety recalls to report from Transport Canada. One concerns a possible mis-application of silicone grease to the brake light switch that could result in various electrical functions going awry….including an engine non-start glitch…. while the second is well known to Canadian consumers: the wonky floormat scenario that could result in runaway acceleration and/or interference with the gas pedal. 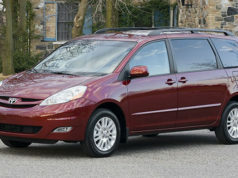 This latter problem also affected a wide range of other Toyota products from 2008 to 2010. Both glitches are easily repaired by dealers. The US National Highway and traffic safety Administration, meanwhile, has some nine technical service bulletins on file for the 2010 Venza. These include oil “seepage” from the engine cooling lines, a “rattling” noise from the steering column when driving over rough roads, popping noises from the steering column during hard tight cornering, and brief engine knock with the four cylinder models during cold weather starts. Full marks right across the board from Consumer Reports here, with this organization giving the Venza its “Good Bet” recommendation. Says C.R: “Assets include easy cabin access, a quiet interior, and a roomy rear seat.” The Venza also has impressive crash test results, says C.R., with minor body rattles and squeaks being the only negatives that they could find. Some comments from owners: “decent gas mileage, roomy and pleasant to drive”, “have had four guys with golf bags ride several times”, “highway driving is excellent”. Unsurprisingly, this one has held its value very well. From a base price of just under $30,000 two years ago, it seems to be fetching anywhere from the low to mid-twenty thousand dollar range for the four cylinder model, to as much as $30,000 for a loaded AWD V6. The front-drive models seem to go for several thousand dollars less than their AWD counterparts, while the four cylinder models are likewise priced about two to three dollars below the V6, depending upon equipment level. Horsepower/Torque: 182 hp / 182 ft. lb & 268 hp / 246 ft. lb. 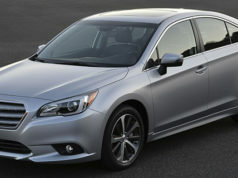 Fuel Economy (litres/100 km):11.0 city/7.6 hwy (V6) Regular gas. 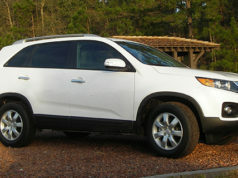 Alternatives: Nissan Murano, Ford Flex, Mazda CX-9, Infiniti EX35, BMW X3, Volvo XC60, Ford Flex, Buick Enclave.